In September 2017 North Korea’s Foreign Minister, Ri Yong Ho, threatened to undertake a very powerful atmospheric nuclear test over the Pacific Ocean. The concerns raised have focused on the radioactive fallout from such an explosion which would affect populations bordering the North Pacific. There is also real concern over the prospects of such a test failing. Interviewed by The New York Times, Philip E. Coyle III, a nuclear scientist and former head of the Pentagon’s weapons testing, said, “The DPRK would be taking a big risk — missile tests fail.” If the missile failed on launch there could be massive nuclear contamination in North (and South) Korea, or the warhead could explode prematurely, for example over Japan, or South Korea. The failure of missiles is a common problem, and North Korea has seen a relatively high failure rate from recent launches. Even if such a test were to be successful, the cloud of nuclear contamination would draft eastwards to North America, and eventually cycle the globe. 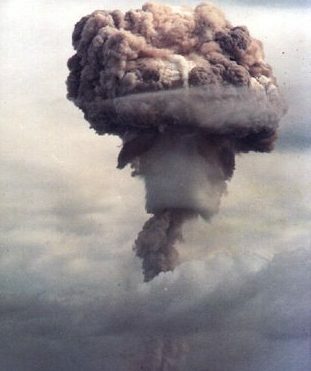 Earlier atmospheric nuclear tests, which were finally banned in 1963 (by the USA, USSR and UK), were associated with an increase in certain types of cancer. The last atmospheric test took place on the 16th October 1980, in Western China. The Comprehensive Test Ban Treaty (1996), was adopted at the United Nations and has been ratified by 166 states, but not by the United States, China, North Korea, Egypt, India, Israel, Iran and Pakistan. Lassina Zerbo, Executive Secretary of the Comprehensive Nuclear-Test-Ban Treaty Organization, posted a map on Twitter showing how the fallout from an atmospheric test would rapidly spread to North America, before affecting the whole northern hemisphere. There is, however, the possibility that North Korea could develop a “Doomsday” weapon, namely a cobalt bomb, which is a type of “salted bomb”designed to produce enhanced amounts of radioactive fallout, intended to contaminate large areas with radioactive material. This could be deployed in a suicidal reaction to the end of the regime. Arguably, the greatest danger, apart from a premature nuclear detonation over another country, or a cobalt bomb, is not nuclear fallout, but the electromagnetic pulse (EMP) that an atmospheric denotation would produce. High altitude electromagnetic pulses are known as HEMP. The range of a North Korean Hwasong-12 missile is 4,500 km, sufficient to carry a warhead well to the east of Japan, or over the US island of Guam. An EMP/HEMP pulse is most effective if detonation occurs above the atmosphere, at 60 km or higher. A nuclear explosion generates three stages of EMP pulse, which is caused by a flux of gamma rays. The size of the nuclear explosion and the radiation generated, also determine the strength of the EMP pulse. Speaking recently on BBC’s Radio 5 Live, John Simpson said, “One of the things that the North Koreans have been boasting about an electromagnetic pulse (EMP), which means firing a nuclear weapon up into the atmosphere and devastating the electrical grid of a country and all of its infrastructure.” He added, “If something like that were to happen, I don’t think it is at all likely, but when North Korea is boasting about it, then, of course, the whole world would suffer if there was a major breakdown of the United States, China or somewhere else – that would be absolutely devastating to the world economy.” It’s possible to overstate the EMP threat, but what is clear is that the world has become increasingly vulnerable to electronic disturbance since the nuclear tests of the 1950s and 1960s, and that even then EMP caused real damage in the Soviet Union. Unless electronics are shielded within a Faraday Cage, they are vulnerable to an EMP pulse. According the Federation of American Scientists, an EMP pulse, “The HEMP effect can span thousands of miles, depending on the altitude and the design and power of the nuclear burst (a single device detonated at an appropriate altitude over Kansas reportedly could affect all of the continental United States).” The FAS added that, “a widespread HEMP effect could lead to possible long-term disruption of the power grid, fuel distribution, transportation systems, food and water supplies, and communications and equipment for hospitals and first responders, as well as military communications systems which utilize the civilian infrastructure.” GPS systems are particularly sensitive to electronic signals of this type. So assuming a nuclear detonation of a large warhead at approximately 200 km, an area with a radius of about 1,600 km would be affected by the EMP pulse. If the detonation occurred approximately 1,100 km to the east of Tokyo most of central Japan would be impacted by the pulse, and within that area, most unshielded electronic devices would become inoperable, this would include most motor cars, mobile telephones, airliners, air traffic control systems, computers, integrated chips which control pumps, distribution systems, lifts, ACs, railways and power grids, all GPS systems, civilian communications systems, and automated factories. In such an event Greater Tokyo and an area approximately 500 km north and south of Tokyo would shut down. 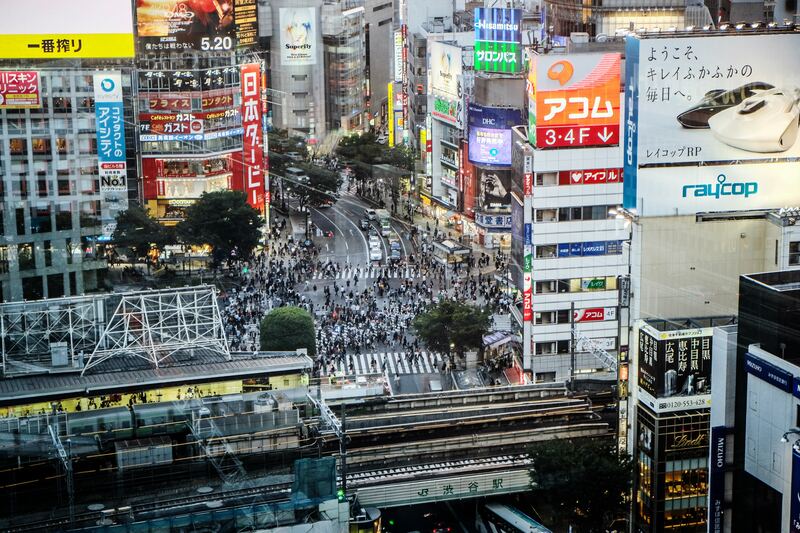 Tokyo is the most populous metropolitan area in the world with approximately 38 million people and is the world’s largest urban agglomeration economy. The Tokyo metropolitan area is ranked first in the Global Economic Power Index. In this scenario the Japanese economy would be shut for a long period and the global supply chain for critical manufactured components would be disrupted, probably for up to a year. The collapse of the third largest economy in the world would have a dire impact on the entire global economy, inevitably leading to a global economic crisis. Although American commentators have trended to focus on the threat to Alaska and Guam, an EMP strike on Tokyo would be the worse possible scenario from a global prospective. The war of words between President Trump and North Korea’s Kim Jong-un is not the best way to defuse a situation which could too easily get out of hand. We are all of us threatened by what is happening, not only the United States, which can no longer be regarded as speaking for the rest of the world. This should be a time for quiet diplomacy, not sabre-rattling, in particular it is a time for the governments of East Asia to speak with a common voice on these threats, supported by the United Nations. © Andrew Palmer, 2017, please do not reproduce without permission.